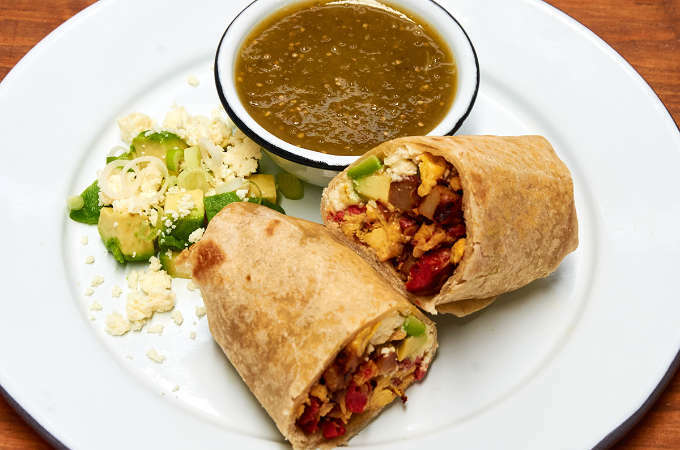 Breakfast burritos are a great way to start your weekend morning. They are filling and tasty and not too complicated to prepare. 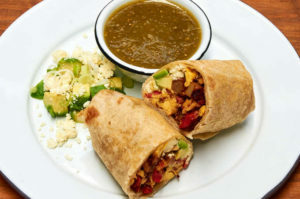 We love breakfast burritos with prepared with chorizo but they are also great prepared with breakfast sausage. 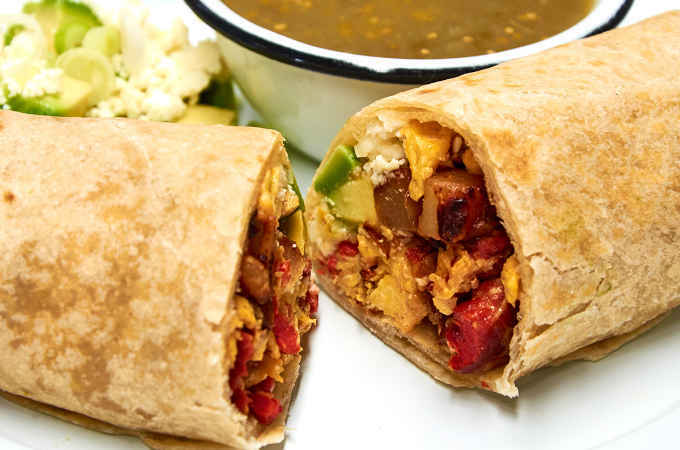 If you have any burritos left over, which is unlikely, you can wrap them and freeze them to use later when you need a really quick hearty breakfast. To make Mexican breakfast burritos, you will need: 6 large eggs, 10 ozs. Mexican chorizo, 1 large white potato, 1/2 medium white onion, 1 small bunch spring onions, 6 ounces ranchero cheese (queso ranchero), 2 medium avocados, 4 large or 6 medium flour tortillas, 2 cups of your favorite salsa. 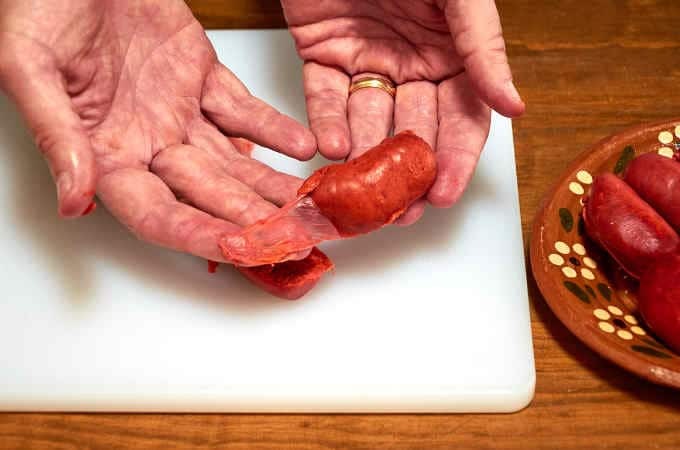 Cut the chorizo in half lengthwise. Remove the casing and discard. 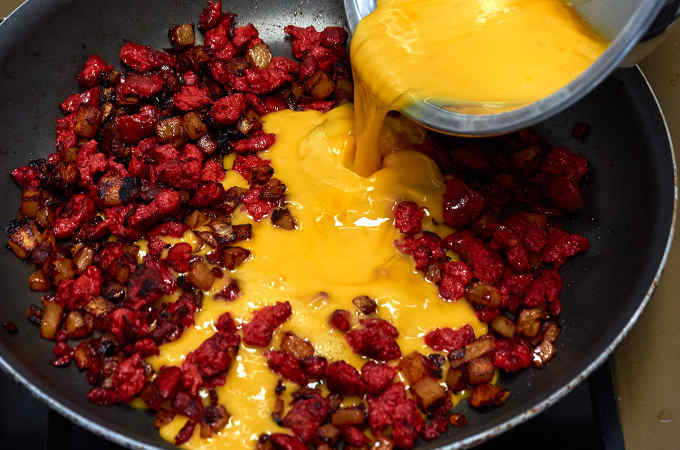 Break the chorizo into chunks. 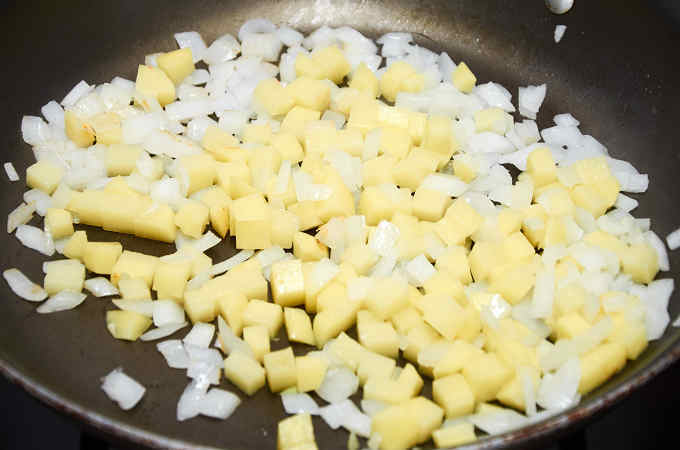 Chop the onions and potatoes into 1/4″ pieces. 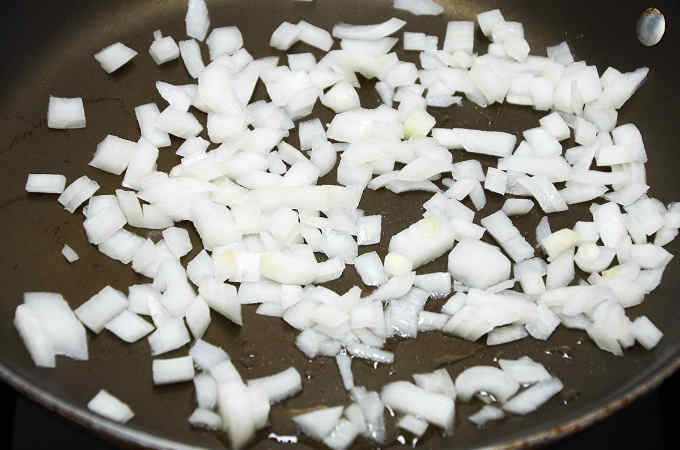 Over medium heat, cook the onions in 1 tsp. oil for 1 minute. Add the potatoes and cook for 10 to 12 minutes until the potatoes start to brown. Add the chorizo and cook for 12 minutes until the chorizo has given up most of it fat. Beat the eggs and pour them into the pan. Let the eggs set for one minute. Then turn. Cook until the eggs have just set and break up the eggs with your spatula. If needed, cook for couple more minutes until all of the egg has cooked. Now comes the fun part, making your burrito. 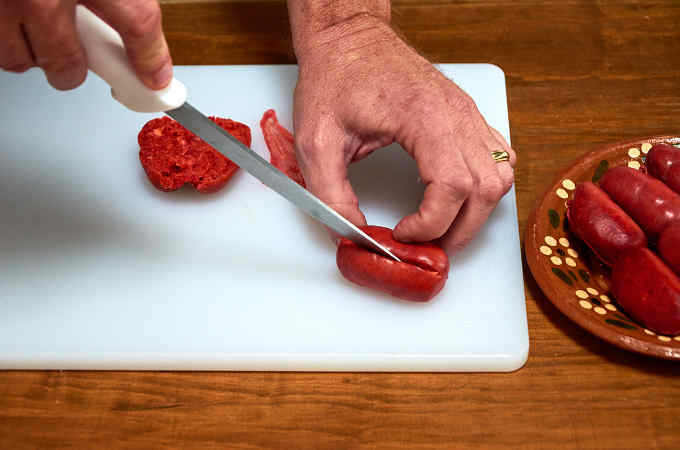 Start by cutting the avocado into 1/4” pieces. Slice the spring onion into very thin rings including the 2” of the green stem. 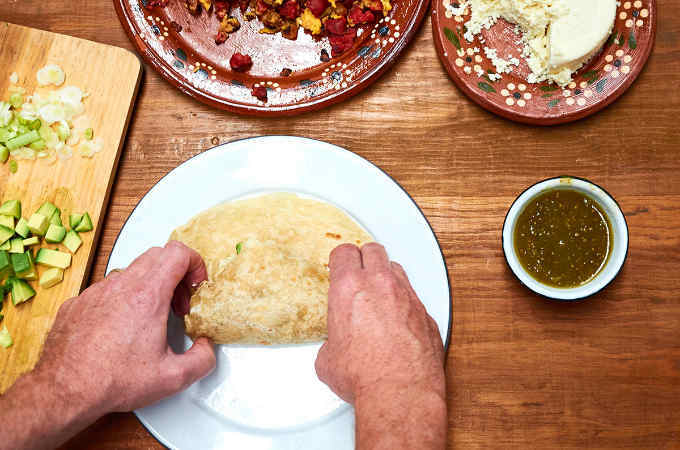 Heat the tortillas in a dry pan until they start to puff up and become pliable. Heat them for about 30 seconds per side. 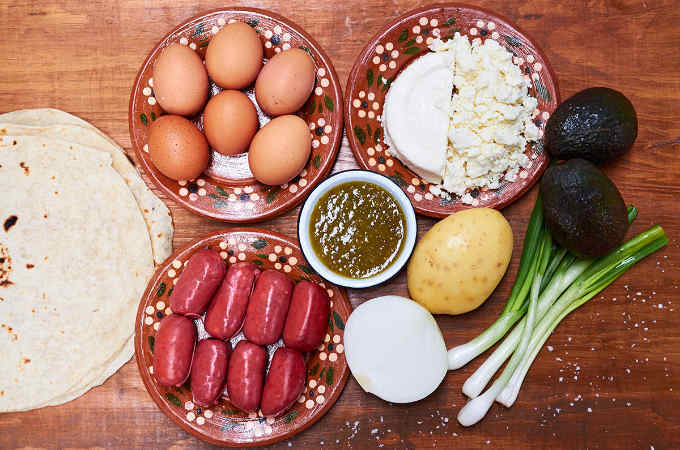 On the warm tortillas, place the chorizo and eggs, then add about 1 oz. of crumbled cheese, a couple of tbsps. of diced avocado and 2 tbsps. of salsa. 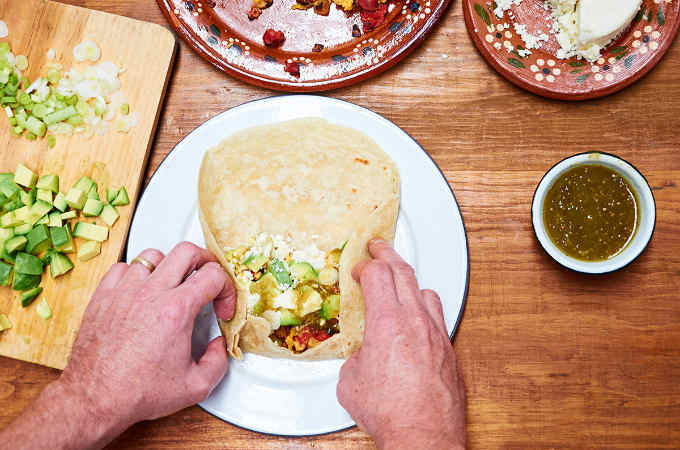 Fold the bottom of the tortilla up about 1″ then fold the sides of the tortilla in about 1″. Roll the burrito tightly tucking the sides of the tortilla in as you go. It should form a tight cylinder with even ends. Slice the burrito in half to serve. Serve with extra salsa for dipping and some chopped avocado topped with crumbled cheese and sliced spring onion on the side as a garnish. Remove the casing with your fingers and discard. 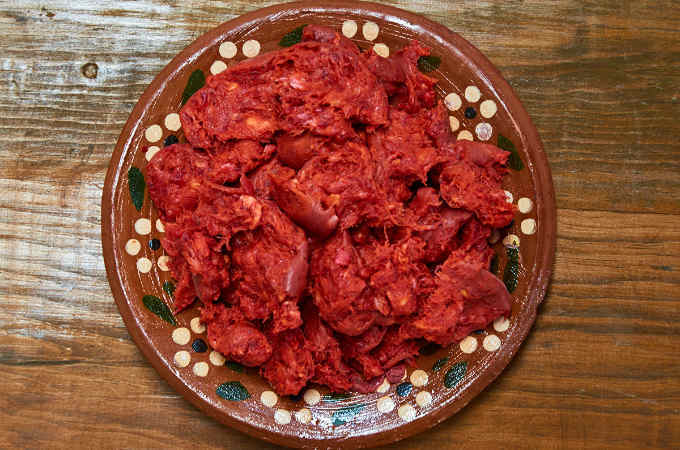 Break the chorizo into chunks and set aside. 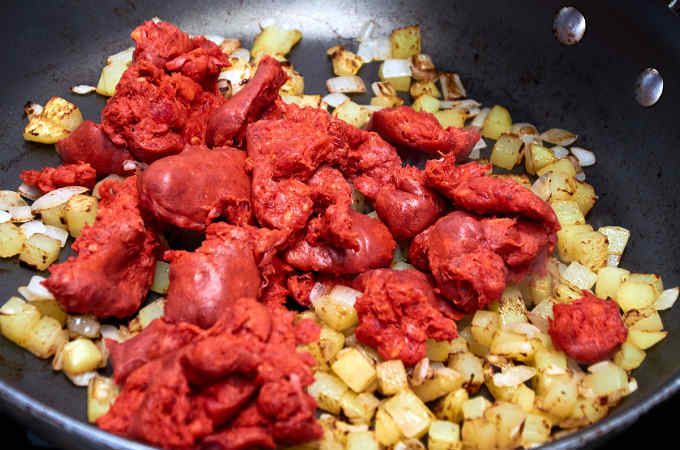 Beat the eggs with 1/2 tsp.. salt and pour them into the pan with the chorizo, potato and onion. Let the eggs set for one minute. Then turn. Cook until the eggs have just set and break up the eggs with your spatula. Cook for couple more minutes until all of the egg has cooked through. Cut the avocado into 1/4” pieces. Slice the spring onion into very thin rings including the 2” of the green stem. Heat the tortillas in a dry pan until they start to puff up and become pliable. Heat them for about 30 seconds per side. 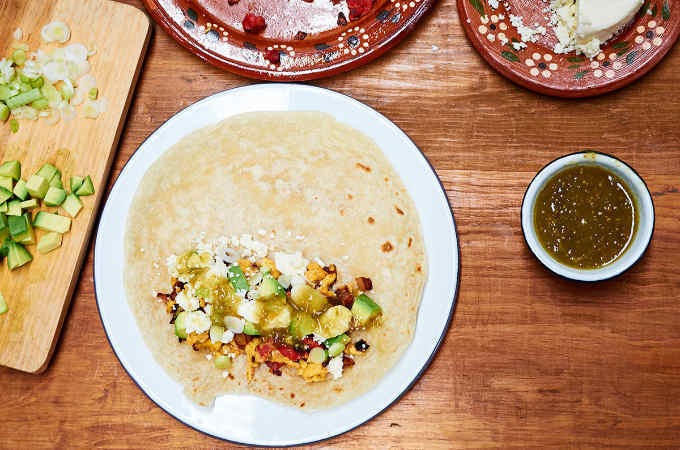 Don't let the tortilla become crispy which makes it difficult to roll. Fold the bottom of the tortilla up about 1" then fold the sides of the tortilla in about 1”. Roll the burrito tightly tucking the sides of the tortilla in as you go. It should form a tight cylinder with even ends. 4 large burritos or 6 medium size burritos. 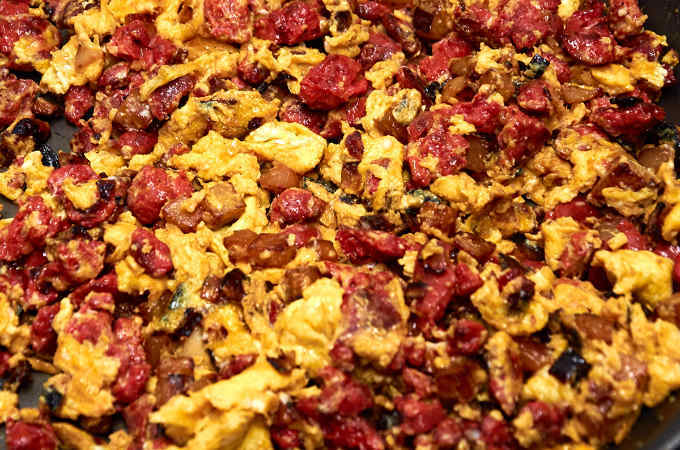 You can substitute breakfast sausage for the chorizo. Spanish chorizo is tasty too. Try these salsa with your burritos. If you want to make freezer burritos, omit the avocado when you prepare them. Avocado doesn't freeze well or reheat well. To store them wrap them tightly in aluminum foil and then seal them in a zipper freezer bag. Frying pan or griddle method - leave the burritos in the aluminum foil. 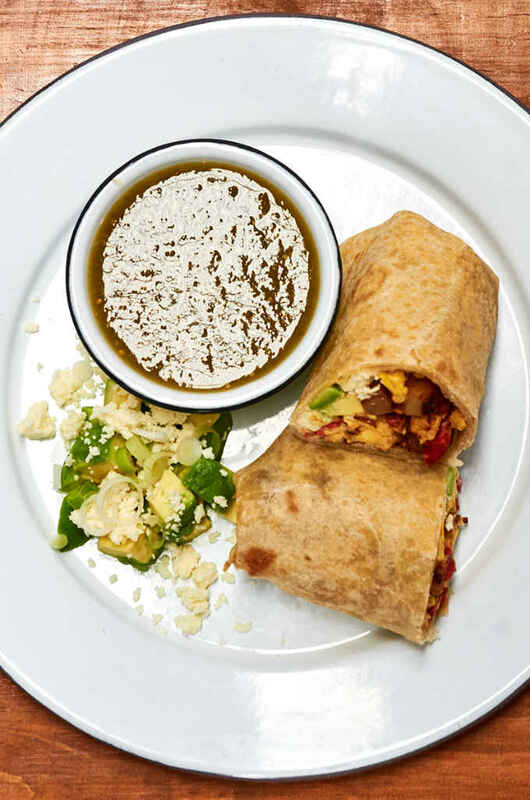 Place the wrapped burritos in your frying pan with no oil over very low heat. Cook for 4 minutes then turn the burritos and cook for 4 minutes. 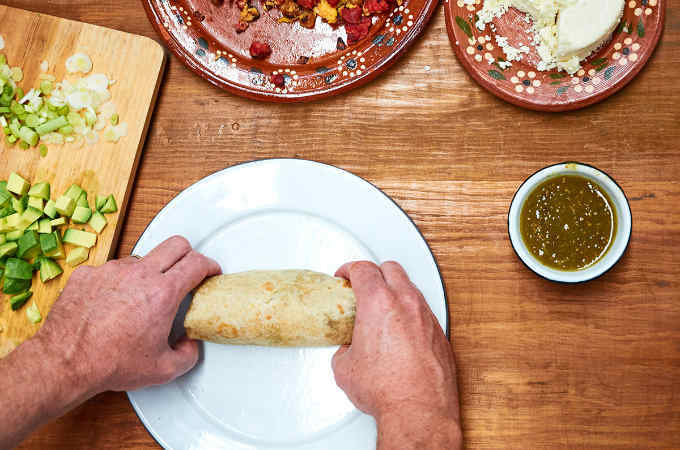 Cooking times will vary depending on the size of your burritos. Microwave method - remove the aluminum foil from your burritos. Place and a plate. Microwave on high for 1 minute. Turn the burrito over and microwave on high for 1 minute. Cooking times will vary due to the size of the burritos and the power of your microwave.